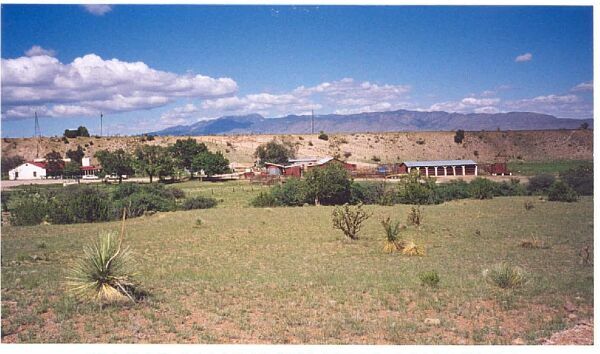 The Ranch is located approximately 17 miles west of Interstate 25 and approximately 28 miles southeast of Magdalena, New Mexico on State Road 107. 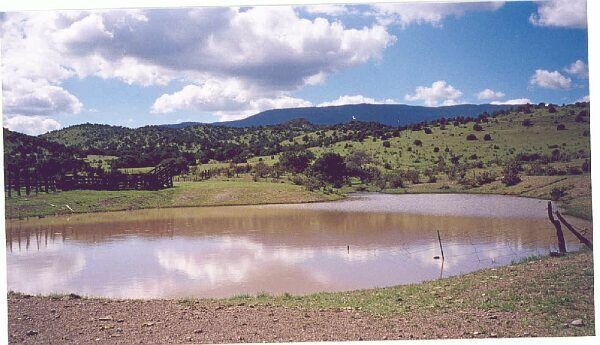 We hope to complete the purchase of this ranch by the end of 2005. * As per the Term Grazing Permit Number 03-3014 and the Horse Mountain Allotment #412, there are 33,900 acres of National Forest Land within the boundary of the grazing allotment. 500 to 510 head of grown cattle yearlong or their equivalent. Note: The term permit on the Horse Mountain Allotment is for 412 cow/calf units from November 1st to August 31st of each year. A new 10-year permit is in place and the NEPA process is in the process of being completed. The balance of the total cattle numbers are run on the private land and state leased acreage. The operation of the ranch has been historically a cow-calf operation and often includes the pasturing of yearlings for 6 months and occasionally for 12 months. The headquarters home was initially of log construction with later addition of adobe and frame construction. It was built circa 1880 and includes a kitchen, dining room, living room with fireplace, a family with fireplace, a pantry, four bedrooms, and ample closets. Most of the home has hard wood floors throughout except for the kitchen. A domestic well (approximately 350’ deep) at the headquarters pumps water into a storage tank for the house and into a steel rim storage. The water is boosted into a 1 ¼” PVC pipe which supplies water to livestock drinkers along 4 miles of pipeline and elevated domestic storage tank at the headquarters which has a pressure booster system for the home and yard. The water system utilizes a pressure switch, which automatically keeps the water troughs at a desired level and is activated as livestock drink the water. There are a total of seven drinkers on the drift fence windmill pipeline system; Seven Springs is the source system. There are numerous undeveloped springs and creeks. The headquarters includes a complete set of working corrals, squeeze chute and American livestock scales which have been recently refurbished. Outbuildings include a single story barn, a hay barn, which is enclosed with a full length, feed trough, and miscellaneous storage structures used for small equipment, feed and tack. There are two septic tanks, an 800-gallon propane tank, telephone and electrical service (Socorro Electric Coop). There are also seven horse stalls, plus two feed rooms and a barn for feeding, etc. 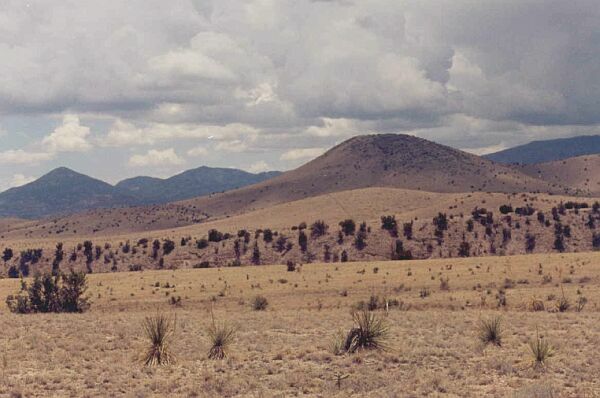 The ranch ranges from an elevation of 5,900’ at the headquarters to 10,309’ at Blue Mountain. The average elevation is approximately 6,500’ to 6,700’. The lower country is open, rolling terrain, which slopes upward, from the southeast to the northwest. 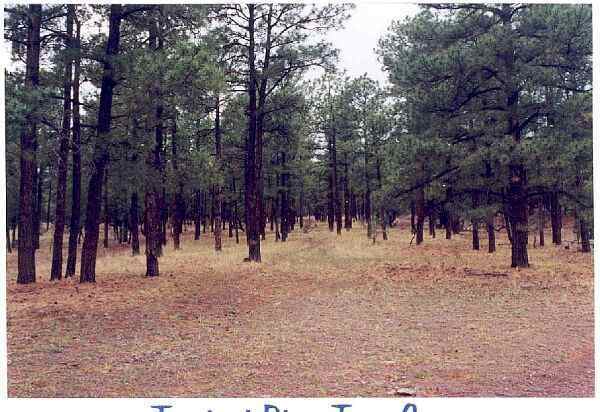 The primary tree cover is cedar, juniper, pinon and oak at the lower elevation with ponderosa pine, fir trees, white oak, cottonwood, walnut and aspens at the higher elevations. 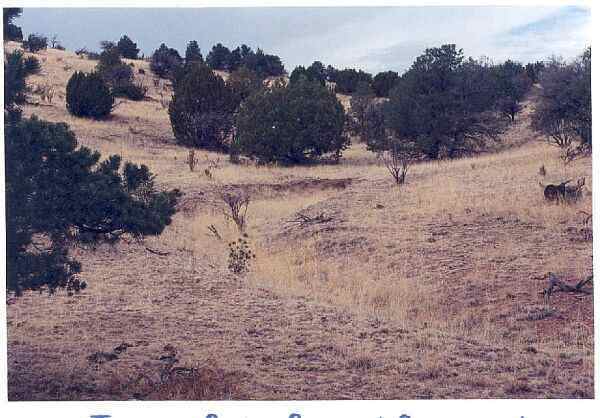 An important feature of this ranch is that every drainage or canyon has a south slope and a north slope. Beautiful views, canyons and outcroppings create a very scenic setting. The total annual precipitation including snowfall is 10 to 12 inches in the lower elevations and 12 to 16 inches in the higher elevations. It benefits from a moderate climate for the area. Attached hereto is an inventory of the Range Improvements and Maintenance Responsibility dated 12-13-01. Also refer to the Grazing Permit Map. The permit is well watered by two wells in addition to the headquarters well, which waters one pasture. There are pipeline systems fed by 2 wells and 2 springs. In addition there are 3 trick tanks. It is a 30 to 45 minute drive to Magdalena via State Road 107 and a 50 to 60 minute drive to Socorro via State Road 107 to Interstate 25. 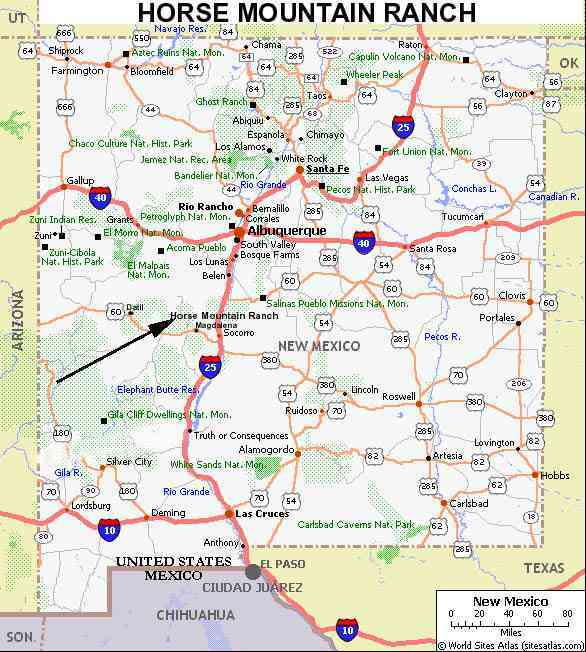 The City of Albuquerque is approximately 130 miles from the headquarters. Grades K through 6 are in San Antonio, Magdalena and Socorro have school systems K Through 12. The primary vegetation includes black, blue hairy side oats grama, sandrop seed and various forbs. The ranch has excellent turf and a high percentage of desirable species including Arizona cotton top, cane bluestem mountain muhly and wolf tail. The primary browses are Apache Plume, Mormon Tea, Oak Brush, Chamisa and Mountain Mahogany. Pronghorn antelope, mule deer, elk, black bear and mountain lion are the big game species. There are three species of quail including gamble, mearns and scale, wild turkey, fantail pigeons and dove. The landowner receives one (1) landowner permit per year for pronghorn antelope. 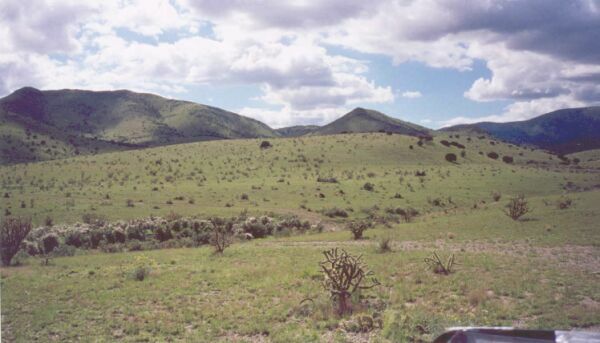 The ranch was granted 2 bull elk and 2 cow elk permits for the 2002-2003 season in Hunting Unit 17.